01. 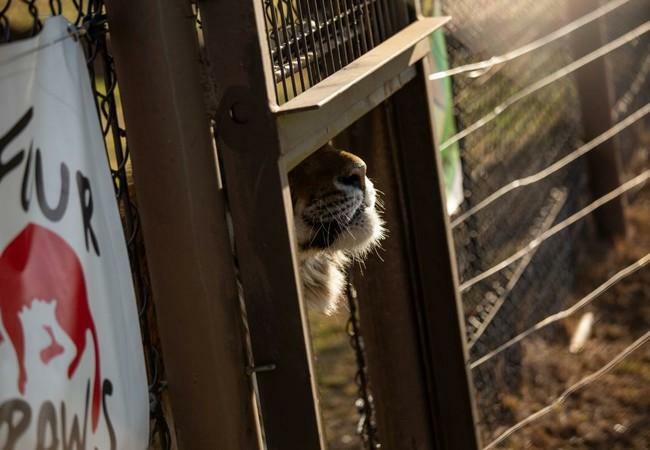 April 2019 – Happy endings do exist: The international animal welfare organisation FOUR PAWS successfully transferred tiger Caruso to its Big Cat Sanctuary LIONSROCK near Johannesburg on 29 March. Twelve-year-old Caruso was born in a German safari park and traded to a circus where he was then raised by hand. When he was two years old, he ended up in an overly crowded rescue centre in the Netherlands. Until FOUR PAWS took over, all he knew was pain, stress and boredom. But thanks to the special care at the FOUR PAWS owned Big Cat Centre FELIDA, Caruso recovered from his past suffering and found his forever home at LIONSROCK. Before heading to South Africa on the biggest journey of his life, Caruso was trained to voluntarily enter his transport crate. That way, stress could be minimised, and risky anaesthesia avoided. The FELIDA animal caretaker who helped Caruso recover, also accompanied him to LIONSROCK. Shortly after his arrival, he explored his new enclosure curiously. Within minutes, he was comfortable enough to take a refreshing dip into his pool. At the Dutch rescue centre where FOUR PAWS first found Caruso, he was confined to a small cage in inappropriate keeping conditions and fell victim to inadequate care. When FOUR PAWS took over the rescue centre in 2013, it was renamed Big Cat Centre FELIDA. Back then, Caruso showed symptoms of stress and stereotypical behaviour, but with the special care provided at FELIDA, he improved massively. He also underwent several surgeries to relieve him from severe dental pain. 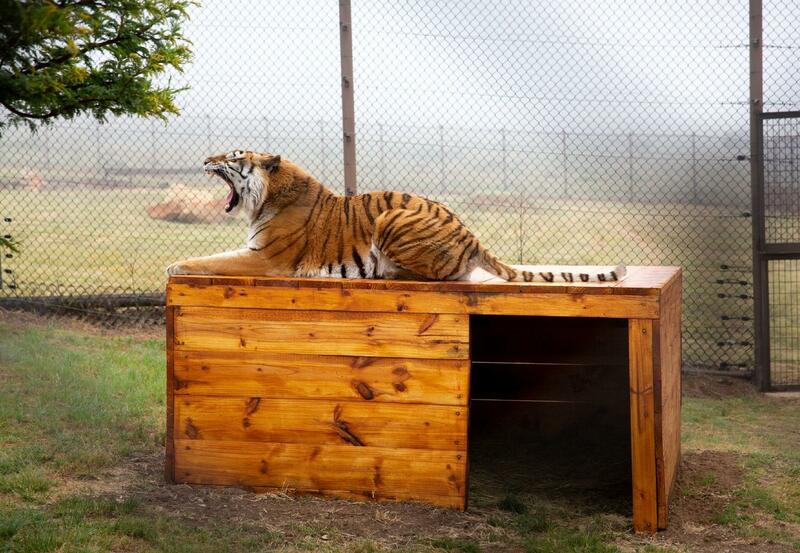 FOUR PAWS provided Caruso with more space and a small pool and he happily took naps on his new platforms and played with his enrichment frequently. Caruso’s story ends well, but many tigers born in Europe suffer a different fate. Due to a lack of EU regulations, they can still be traded for commercial purposes like circuses, private keeping and photo opportunities. There is no clear overview of tiger numbers and trade within Europe; no one knows how many tigers are kept in Europe, where they are moved during their lifetime, how they are used for entertainment purposes, and where they die. Some have their parts turned into tiger bone wine or they are used in traditional medicine. FOUR PAWS discovered tiger traders operating in Europe are willing and able to sell and facilitate the transfer of tigers to Asian countries where demand for their parts for traditional medicine is causing mass cruelty and a decline of the species. Big Cat Centre FELIDA in the Netherlands functions as a special care centre for physically and mentally traumatised big cats. When big cats recover from their trauma, they can be transferred to Big Cat Sanctuary LIONSROCK in South Africa. Others need life-long special care and stay permanently. 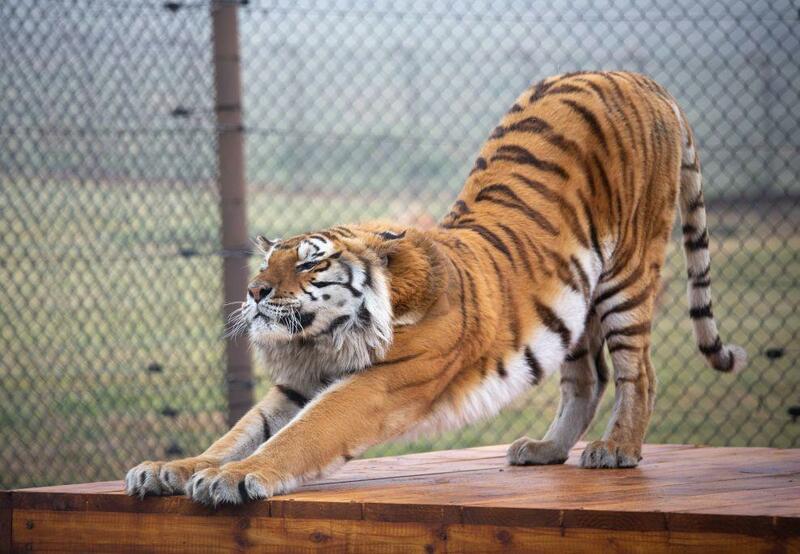 By taking over the centre, FOUR PAWS assumed responsibility for the 26 big cats that were housed there at the time. Since then, 15 big cats were transferred to the South African sanctuary. 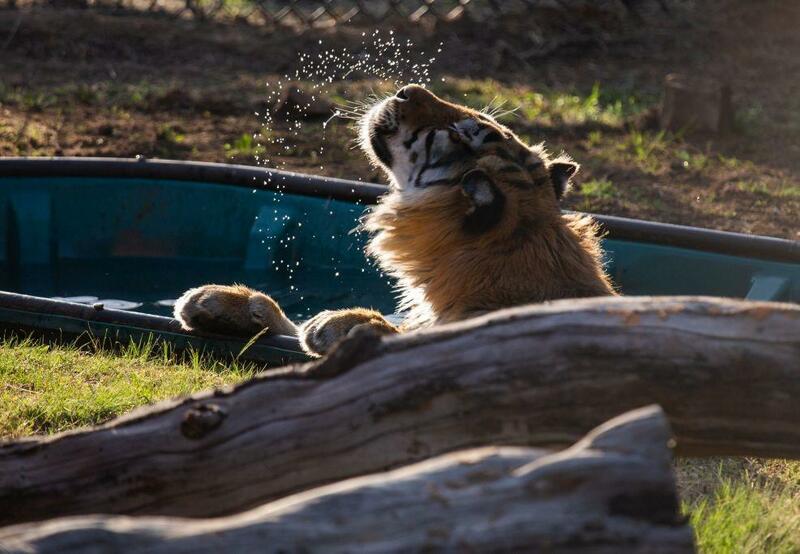 Now, two tigers and three lions are taken care of at FELIDA.